The Grade 1 listed bridge was constructed in the 15th century and comprises six arches of various heights and widths, the middle three of which span the river. 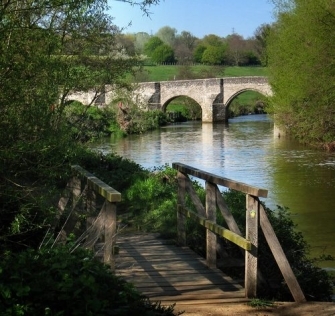 Despite later alterations and repair work, Teston Bridge is a well preserved medieval multi-span bridge. It is a good example of its type and will retain evidence of medieval methods of construction. Deposits buried underneath the bridge will preserve artefactual, ecofactual and environmental evidence, providing information on the human and natural history of the site prior to the construction of the bridge. In 2012 a project was started to create a fish pass and canoe access at Teston Lock. Find out more here. Further images can be found here.